Kerrin Hearfield: Busted in Bollywood - cover reveal! Wow, look at this new fabulous book from Nicola Marsh! Releasing soon, December 6! so be sure to check out her website then to buy a copy! - just click on the street team icon on the right and it will take you straight there! Doesn't it just look awesome! And, a sneak six sentence look at the book that Nicola posted on her blog on the weekend! Between Anjali’s sniping at the family and Rita’s dossier, I gathered the Ramas were rich, very rich. And by the size of their newly white-washed two-story house, they were loaded. In a country where real estate was at a premium, these guys had a monopoly on space, their house taking up a quarter of the block. “Nice place,” I said, smoothing the chiffon of my kameez and hoping all the drama training at high school would count for something in the hours ahead. 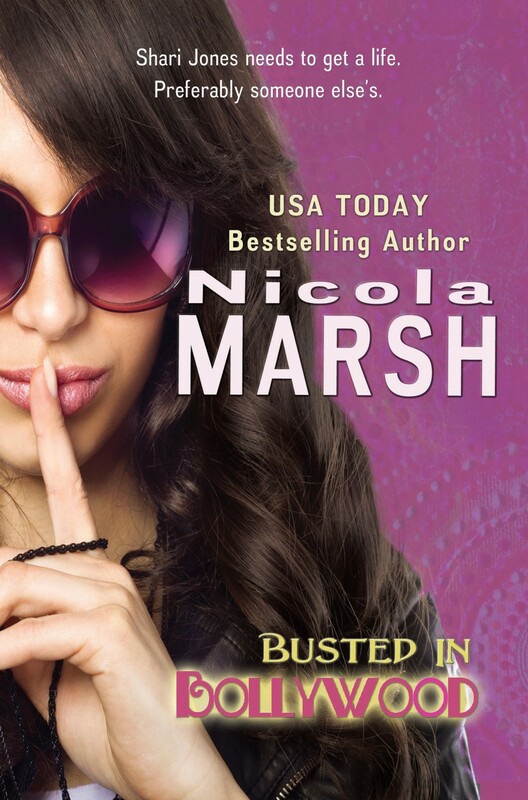 I love Nicola's voice so i'll be sure to grab a copy! Will you? Thanks so much for being part of the cover reveal, Kerrin! The book I've just handed in is YA. Busted in Bollywood is a contemporary romance/women's fiction. I love the six sentence sneak peek :-) Isn't it a gorgeous cover? Thanks, Kerrin!